Motorcycles have long provided a legitimate, cost ­effective and relatively low-polluting form of transport for commuting, work or leisure purposes. 60% of motorcycle trips are for work, business or education, compared to 27% of car trips (DfT 2009). It also appears that increasing affluence, particularly among 30-­45 year old men, has a positive impact on the purchase of motorcycles for leisure purposes. In 2012, there were just over 1.2 million licensed motorcycles and, despite fluctuations in sales figures, this represents a 53% increase since 1994. This sustainable level of interest in PTWs and the steadily improving safety records provide a compelling case for motorcycling as an attractive mode of transport. Continued use of Travel Plans provides opportunities for influencing the role that motorcycles can play (Chapter 5). Motorcyclists are susceptible to serious injury even in low ­speed collisions. However, policy makers, planners, road designers and maintenance engineers have sometimes overlooked their specific safety needs eg the dependency on adequate and consistent friction between tyres and road surface. Raising awareness of these requirements among these professionals is crucial and these Guidelines are a step in that direction. Road Safety Audits need to encompass a greater awareness of motorcyclists’ behaviour and the hazards they encounter. It would be helpful if the Audit Team and the Project Sponsor have a sound knowledge of single­-tracked vehicle stability and safety needs or, at least, have access to this knowledge via an appropriate ‘expert’ (Chapter 8). Accurate and detailed local collision data containing ‘real ­life’ causation factors is fundamental to policy decisions at political or professional levels. National statistics in Road Casualties in Great Britain are valuable in providing benchmarking, but local data can be found in reported injury collisions (STATS19) and data collected by local hospital Accident and Emergency units. This data (if available) relating specifically to motorcycle collisions should be plotted geographically and analysed to inform the development of policies which support motorcycling. 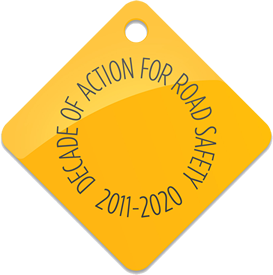 In 2013, as part of Action for Roads, the Government highlighted the significant challenges faced on our roads, promoted the need for long-term investment and announced its reform to the strategic road network, including £12 billion investment for road maintenance and resurfacing. In light of the casualty statistics, the Government is also keen to encourage the development and use of safety technologies for motorcycles at a European level (see the Strategic Framework for Road Safety). This is a strong indication that the Government recognises the mode of transport’s popularity, long-term future and safety requirements. In 2012, the MCIA reported that the motorcycle industry boasts a £5 billion turnover and a contribution of £1 billion in taxes. With an annual contribution to exports of over £400 million and supply chain impacts which support an additional £750 million of Gross Value Added and 16,000 full-time jobs, the MCIA make a strong case for the economic benefits presented by the industry. It is essential to give motorcycles appropriate and serious attention if further safety improvements are to be made. Many of the required measures will also benefit cyclists.